"Anti-Food Allergic Activity of Sulfated Polysaccharide from Gracilaria lemaneiformis is Dependent on Immunosuppression and Inhibition of p38 MAPK"
Seaweed has long been a staple food in many Asian countries and has recently caught on as a snack food in America as a healthful alternative to chips. The edible algae that fall in the category of seaweed are low-calorie and packed with nutrients. In addition, now scientists have found that a type of commercial red algae could help counteract food allergies. They report their findings in mice in ACS’ Journal of Agricultural and Food Chemistry. Food allergies are a major global health issue that can be life threatening in some cases. One 2014 study by researchers at Mount Sinai Hospital estimates that the condition affects about 8 percent of children and 5 percent of adults worldwide. In people who are allergic, certain compounds in food trigger a cascade of immune system reactions that lead to symptoms such as hives, wheezing and dizziness — and in the worst cases, anaphylactic shock. Previous research has suggested that certain seaweed varieties contain polysaccharides with anti-asthmatic and anti-allergy effects. 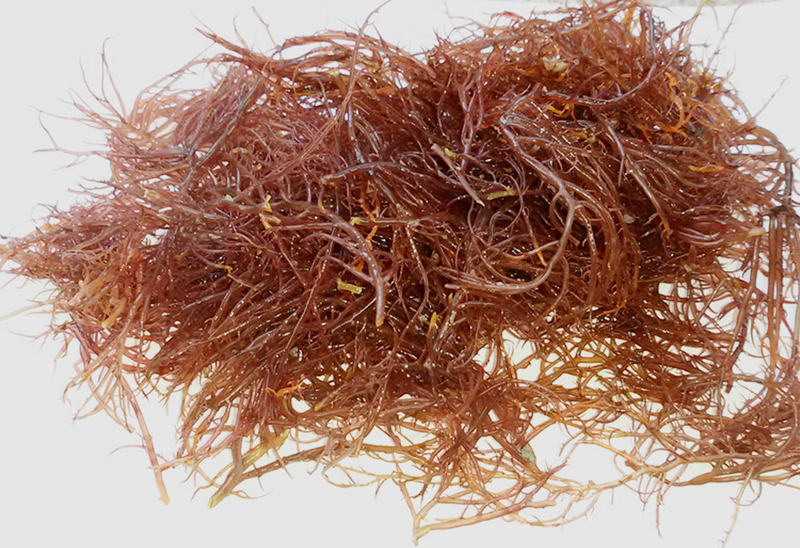 But no one had investigated whether similar molecules in Gracilaria lemaneiformis, a commercial variety of red algae, might have similar properties. Guang-Ming Liu and colleagues wanted to find out. The authors acknowledge funding from the National Natural Science Foundation of China, the Scientific Foundation of Fujian Province, the Marine Scientific Research Special Foundation for Public Sector and the Xiamen South Ocean Research Center. Compounds from commercial red algae alleviated food allergy symptoms in mice.